Welcome to the Fareham Branch website. and staffed by Fareham Borough Council. and pay, and ​much more. UNISON Website please click below. 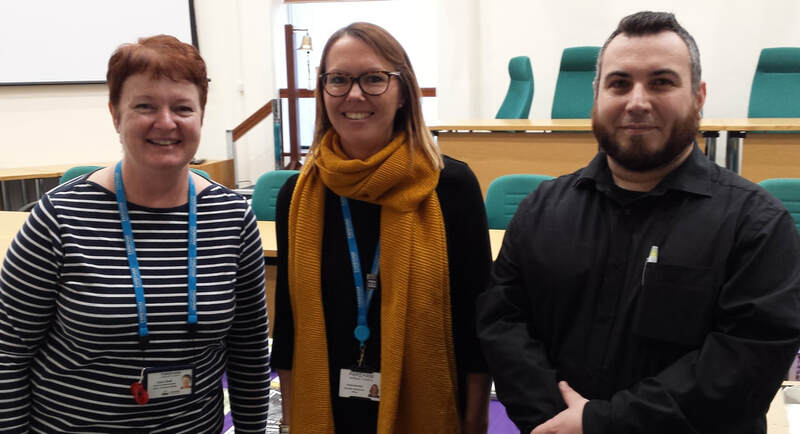 Fareham Unison held it's Annual General Meeting on Tuesday 12th March 2019. This is the time of year that the branch gets to hear what their Unison branch has done for them over the past year. It is also a time that the branch membership discuss and vote on what they would like the branch to do over the next year. However, with a turnout of only 10 members (4 of which being retired members) 2019 saw the worst turnout ever. It requires a minimum of 10% to pass any official business we were 16 votes short (as the Chairman can't vote). The union can only operate when its members get involved. While some members step forward and volunteer to contend with the day to day running and Executive decision making throughout the year, it requires the whole branch to come together and vote on decisions and determine who they want to make the decisions on the other 364 days of the year. While Officer posts can be assumed by non-contestation of nomination, we also saw a shortage of volunteers standing for many of the posts. The Officer, Steward and Rep roles are essential to ensuring you have the representation you need when you need it. A branch running without these positions will struggle to ensure these areas are tended to. Winter is coming. That’s not a cheap Game of Thrones hook, it’s a fact – if you stand outside council offices reminding staff to join UNISON, you quickly realise that the weather is taking a chillier turn! That’s why UNISON Fareham branch invited staff to warm up with them with a lunch time ‘winter warmer’ drop in. Staff at the council offices on Tuesday and at the Depot on Thursday were able to come in and get free hot chocolate in a UNISON mug and a fresh sausage roll from the local bakery to warm their hands on. But it wasn’t just a free lunch and some merchandise to show their membership of the UK’s largest trade union. Members were able to get a free UNISON branded fleece blanket, an essential part of the AA winter driver emergency kit. March this year saw a cold front that brought unusual amounts of snow. Whilst it was fun to make snow men, it was much less fun if you were stuck in traffic, if you had to sleep on a train or if your car broke down. It was a reminder that although white Christmas’ remain rare, winters in the UK aren’t always mild. Cold weather can be a health and safety risk, so the branch wanted to help make sure that members who were driving at least were kept warm if the worst happened and they found themselves stuck for an extended period. Given the recent cold winters, we wanted to show our support and consideration of our members by holding a drop-in session where anyone, not just members, could come and talk with us, join up and receive some useful items to help throughout the cold season. Of course - for those not venturing out in the cold, the blankets are also useful for snuggling on the sofa. UNISON has partnered with savings provider, Shepherds Friendly to bring members a variety of tax-efficient plans, offering savings solutions for the whole family. To Represent your Workplace/Department, if not already listed, please contact any member of the Branch Executive Committee..
You can join online by visiting join.unison.org.uk Members can pay by deductions direct from your pay, or by direct debit. Make sure you have your bank sort code, account number and full branch name to set up a direct debit.